Dan Reisenfeld came to UM in 2004 after seven years as a research scientist at Los Alamos National Laboratory. 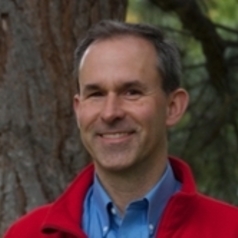 Professor Reisenfeld leads the space science group at the University of Montana, which is involved in a number of NASA missions, including the Cassini mission to Saturn, the Genesis mission which returned a sample of the solar wind to Earth for analysis, the Deep Space One mission to Comet 19P/Borelly, and the Interstellar Boundary Explorer (IBEX) which is mapping out the boundary between our solar system and interstellar medium. He also has a NASA grant to develope a prototype mass spectrometer for planetary science missions. Professor Reisenfeld is the U.S. editor for the international information bulletin, Space Research Today. During his time at UM, Professor Reisenfeld has taught courses on introductory physics, modern physics, quantum mechanics, galaxies and cosmology, stellar astrophysics, and advanced laboratory physics. He is currently the UM affiliate representative for the Montana Space Grant Consortium (MSGC) and the Co-Chair of the MSGC advisory board.